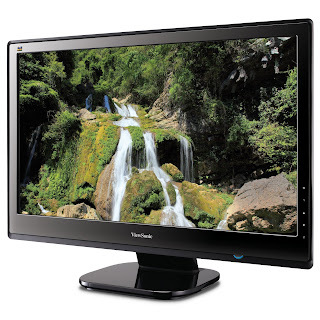 The folks at ViewSonic sent me the VX2753mh-LED monitor to review and it has been my sole monitor for over a week. I am very impressed by its specifications and its design. Even my initial impression when I first opened the box was positive. It even comes with an HDMI cord! I know HDMI cords are inexpensive but nothing is more annoying than when you get a product home and there is no cord in the box. Did I mention the box was really light? 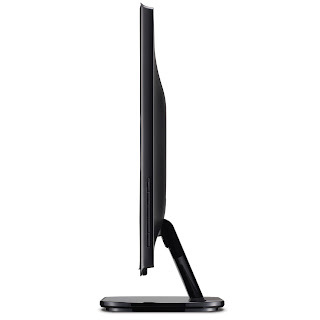 Which makes sense because ViewSonic's VX2753mh-LED is a lightweight ultra-thin 27” widescreen monitor. The screen is very bright and represents colors beautifully (30,000,000:1 contrast). It features full 1080p resolution and sports a 1ms second response time; movies and games look amazing on the screen. The screen was so bright initially; I had to lower the brightness down to 50%.The on screen menu controls for adjusting the monitor settings were easy to use and change. The back of the monitor features two HDMI ports, which comes in handy if you need to plug in your laptop or another device that supports HDMI (iPad2).The only thing that I was not impressed with on this monitor were the speakers, but to be fair, I have yet to be impressed by any built in monitor speakers. The monitor retails for $329, and in my opinion, it is a great deal at this price. 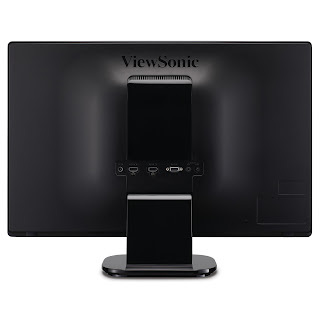 I have used many other monitors in the past and ViewSonic's VX2753mh-LED monitor is arguably one of the best monitors on the market in its price category. In case you are wondering, the Super Bowl looked great on this monitor!